Northeast Surfing offers different levels of memberships. Here you will be able to access our members Forum, Live Streaming, Streaming, streaming on your smart phones and time-lase Videos. Forums, Profile Pages, Upload Images, Post Reports, Share Information, Customize Your Pages, Last Images Taken, Share Social Media, Very Fast Streaming. YEAR MEMBERSHIP - $99.99 Streaming Cams Unlimited 12 MONTHS PAY AT ONCE. Live Chat, Boards, Comment, Forum and more. See our Live Streaming Cams in many different formats, no restrictions. Buy for a onetime price, never be charged again. Get everything a Gold membership offers but make a one time payment for your 12 months, or save money by paying monthly below. MONTHY MEMBERSHIP - $4.99 Streaming Cams Unlimited. $4.99 For first Month, then $4.99 a Month, only if you keep. Join or Upgrade here. 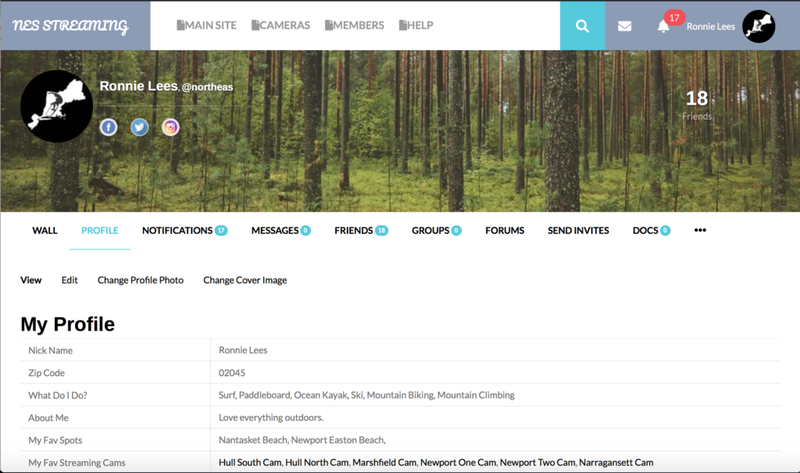 Live Streaming Cams in several formats, Live Chat, Comment and more. Great deal for the money. You will be locked into this price. Save $39.12 but signing up with this option. Cancel anytime you want. Try for one month. The surf is firing right now? What are you missing? Saving Gas and time is priceless!! Cancel anytime you want or keep this awesome service from Northeast Surfing. Watch live New England Streaming Cams to the Second! See the winds and swell move! Save Gas and Time! See the waves or wind, don't read about them! Don't surf? Watch sun rise and set in real time from anywhere in the world, CHECK OUT COOL STORMS & more. Watch the east coast ocean Nor'easter, hurricanes, Live. If you just like storms our streaming is great to watch. Your membership includes but not limited to: HD Nantasket Beach, Hull, MA, Face Southeast. HD Nantasket Beach North Cam, Hull, MA, Face Southeast. HD Marshfield Surf Cam, Marshfield MA, Faces Northeast. HD Easton Beach, Newport Rhode Island Cam one, Face West. HD Easton Beach, Newport, Rhode Island Cam two, Face East. By clicking SIGNING UP you agree to all terms and conditions listed here.